What’s that sound? Are those school buses creaking to life? Do I smell a whiff of pencil shavings? OH YEAH! The first day of school is just around the corner … After the “lazy days” of summer, I am SO ready to get my family and myself back into a routine! I would guess most of our kids feel the same way. For some kids, they are looking ahead to the structure and challenges of the school year. Yet, many kids find back-to-school means trying to fit themselves into a structure that is just not comfortable and does NOT bring a sense of calm. In fact — it’s just the opposite. We are talking about Executive Function Skills, folks. These are the self-management skills that provide purpose and direction to help each of us make necessary adjustments throughout the day to meet our goals. We cannot assume our kids have naturally developed these skills. Even the brightest of students needs the opportunity to develop and test a variety of skills and strategies to be productive. And as they move up the grades, there are more and more complicated tasks to manage. The beginning of the year provides us with a “clean slate” and the chance to build our Executive Function skills. Here are a few ideas to help you and your kids get off to a good start. I know for sure if you tell your kid about your great new organizational idea and then YOU proceed to do all the organizing, you are NOT doing them any favors! 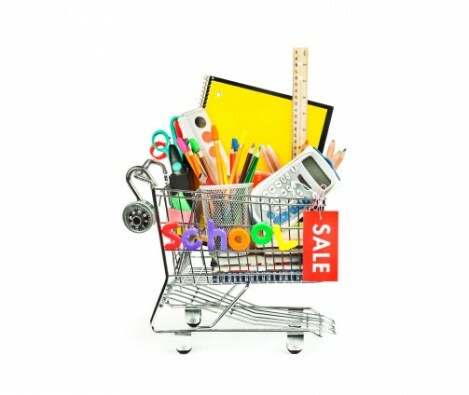 Suggest they prepare for school a week ahead of time and before you hit the office supply stores, make a plan for how things will get organized this year, then purchase tools accordingly. Here’s the tricky part … if they come up with a ridiculous plan that you know won’t work — let them go with it anyway (you can provide a budget, by the way). It actually just might work – or parts of it at least, and the discussion as the system gets put into place is a fabulous learning experience. By this, I mean a system that always stays the same. – Have a “Homework Box” for pencils, colored markers, compass, tape, rulers, protractor, etc. This helps avoid the dreaded half-hour search for a missing tool (which is a great way to avoid starting a task). Binder System: The Big Question: One binder for all subjects OR a separate binder for each subject? This is not a decision to be taken lightly, and it is an EXCELLENT opportunity for your kids to think about how they manage themselves. You might want to discuss the pros and cons of each, but ultimately let THEM decide. You can evaluate the system at the end of the first week and then again, the first month of school to see how it’s going. — NEVER put loose papers inside a backpack – put them in the “To-Do” folder to deal with it later if in a hurry. — Take TWO minutes at home before or after homework to be sure all the papers are in their place. But believe me – I work with so many students who do ALL the work and never turn it in because they can’t find it! As you guide your kids to practice using their OWN strengths and recognizing their own challenges you are doing them a huge service by teaching them to develop the systems that work best for them. Ultimately (and hopefully) you will not be in charge of them forever, and we need to let them try things out, maybe mess up a bit, but also feel successful. When they experience success, they will gain confidence and feel motivated to put in more effort. Another tip for all you parents of kids who have kids with executive functioning challenges– offer up an after school on the down low locker clean out once a month. It is a lifesaver and takes 10 minutes.